Explains the RM Unify Premium functionality and how new customers can enable and utilise it quickly and easily. Details on RM Unify Microsoft Office 365 group sync. Details of Google Classroom MIS group sync in RM Unify. Provides a download of installers for RM Unify AD Sync Service v3 and Release Notes with instructions for installing and using the service. RM Unify - Error "You can't sign in because your account has been temporarily locked due to several incorrect sign in attempts"
Explains why an error message "You can't sign in because your account has been temporarily locked due to several incorrect sign in attempts" is displayed when attempting to log on to RM Unify and other possible conditions which may not be as obvious. This index technical article lists all the relevant resources that provide information about GDPR relating to the RM Unify product. Details how to identify and resolve RM Unify accounts which have been recreated but not re-connected with their Office 365 mailbox. 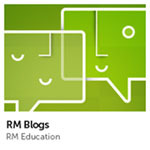 Advice on troubleshooting RM Password Filter on RM Unify if users get the error message "invalid username or password". Provides the steps for configuring your network to use device SSO with RM Unify. Contains information regarding the support level for Microsoft Office 365 via RM Unify and also explains how to resolve some common issues. Describes how to raise an Office 365 support call with Microsoft. Explains why clicking 'Sign In' from www.google.co.uk can sometimes result in the user being directed to the RM Unify sign in page. Details the issue of being logged out of RM Unify if you exceed the maximum number of attempts at entering the multi-factor authentication codes for a configured app. Explains why an RM Unify administrator may see an error "Invalid Link" when trying to delegate admin rights to another establishment.